*For those of you who feel weird about lactation, breast feeding, etc. now is your chance to turn away. You have been warned. I am proud to say that we have a growing store of breast milk in our freezer for our baby girl and it was produced by ME! I am lactating! How cool is that? I have been surprised by my body over the past few months as I have been working on inducing lactation so that I can breastfeed my daughter when she arrives. I honestly didn’t know if it would work. 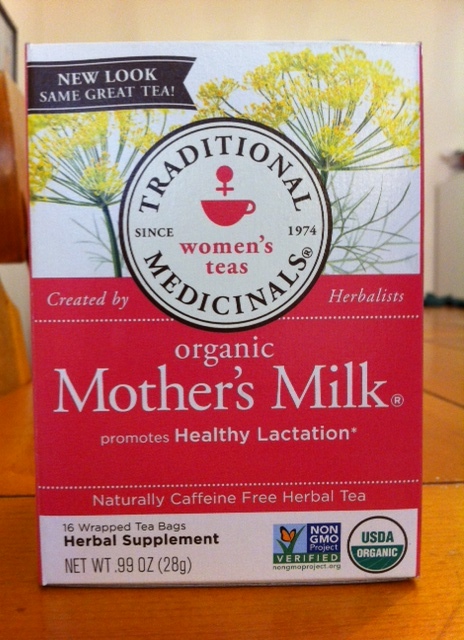 I had heard that some women can start producing milk if they simply start pumping regularly, so I tried it. I thought it might be easier for me since I breastfed Liam and Asher for a year each and after I lost Lucy my milk didn’t dry up for MONTHS. So I started pumping every 3 hours around the clock and taking herbs to increase milk supply and all I got was one single drop. It was a really depressing time for me because every time I pumped and got nothing it reminded my of my losses and the fact that I can’t just get pregnant and have a baby and breastfeed like most women can. I almost gave up completely on the whole lactation idea. I decided to try the Newman-Goldfarb protocol to induce lactation, but I really had very little hope that it would work. A lot of women lose confidence in their bodies after they lose a baby because it feels like your body failed at it’s most important task. My own body actually attacked and killed Lucy so I had very little trust that it would succeed in producing milk for a baby when I’m not even pregnant. Fortunately, it has proved me wrong and I am gradually gaining confidence in my body again. I love being able to produce healthy breast milk for my baby and I can’t wait to breastfeed her. I missed that so much with Lucy. What an incredible gift. So how does it work? Basically you trick your body into thinking you are pregnant by taking birth control pills for several months before your baby is due. I think the protocol suggests starting at least five months ahead, although you can start pretty much whenever you want. As well as taking birth control, you take domperidone, which is an anti-nausea medication that has lactation as a side-effect. It is NOT champagne, like I thought 🙂 Anyway, during the months that you take the birth control and domperidone ahead of time, your body is preparing your breasts for lactation, just like it does when you are pregnant. Around 6 weeks before the baby is due you are supposed to stop the birth control pills so your body thinks you gave birth, and then start pumping every 3 hours. This is when your milk should come in and you should have a good supply by the time the baby arrives. I was only on the birth control for about two months when my body just started producing milk anyway, even before I stopped the birth control. Apparently my body reacted very well to the domperidone and I was getting uncomfortably full of milk, so I decided to stop the birth control early and start pumping. 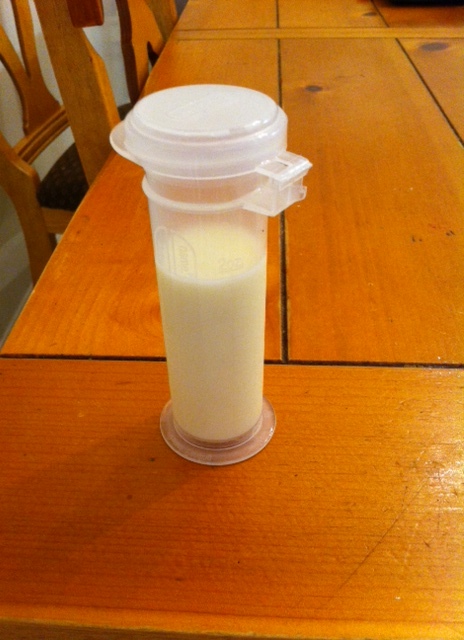 I now pump every 3-4 hours and freeze the milk for when baby girl arrives. 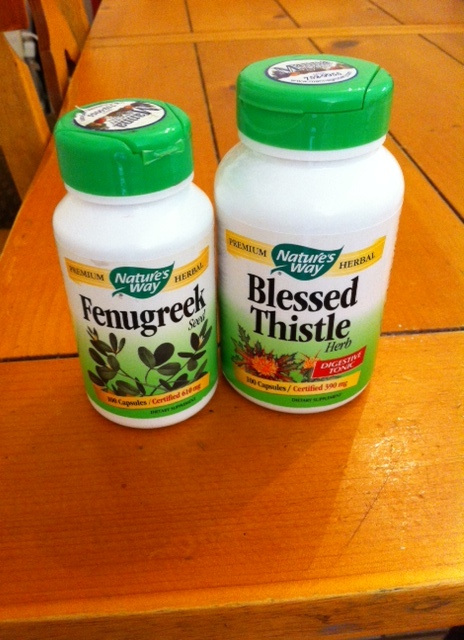 I take fenugreek and blessed thistle, which help with milk production. I have also recently discovered lactation cookies, which are healthy and delicious and help with lactation (and NO, they aren’t made with breast milk like I first thought, haha!) I remember being exasperated at times with breastfeeding Liam and Asher because it was so hard and exhausting. Breastfeeding is a lot of work! It is difficult to find time to pump every 3-4 hours while caring for 3 and 5 year old boys right now. It’s hard to remember to take all the supplements and it is expensive (although not as expensive as formula.) I’m also taking a risk since this baby isn’t technically mine yet. K and P have the right to make whatever decision they want regarding parenting, and they could still choose to parent, which would leave me with a lot of breast milk, tears and no baby (although I don’t think they will.) But she is worth the risk. I recognize how blessed I am to have the chance to breastfeed. After losing Lucy and my ability to have live babies, I thought I would never get to breastfeed a baby again. It feels like an amazing gift and I am honored to be able to do this for my daughter. It felt like Christmas morning when I went up to get my breast pump out of the attic and go searching for all my bottles, nursing bras and nursing tank tops that were packed away. How fun! I am loving it and I don’t even have my baby yet. I can’t wait to experience breastfeeding again with my new baby. We have a slight (maybe not so slight?) change in our adoption plans. There were A LOT of factors going into this decision, that I won’t share here, but we are going to complete our adoption through a private attorney instead of Bethany Christian Services. After a lot of prayer, discussion and input from both the agency and K and P, we think this is the best decision for everyone (including the baby.) K and P are totally on board and pleased with the decision, as are we. Our attorney is wonderful, and we all feel more comfortable working with him. When we made the decision to change plans, we weren’t really thinking much about the money, but we soon realized that the adoption would be much cheaper this way (which is kind of the icing on the cake.) God has, once again, provided just enough money for what we need next. I was starting to get really concerned about the financial part of the adoption since we still were missing about $13,000 and the baby’s due date is fast approaching. Well, as always, He knows what He is doing. It looks like, if we go with our lawyer, we will have just enough to complete the adoption, no more, no less. I am so glad now, that we didn’t raise all of the money we needed for the agency fees because if we had, we would now be left with an awkward overflow of money that we would somehow have to return to the donors. But as it turns out, we have the perfect amount! Also, we didn’t really lose any money by leaving the agency when we did, so we feel like it was a good decision. Thank you again for all of your prayers and support. Please continue to pray for K, P and the baby. Only two more months! I just got back from Indianapolis, where I was donating plasma. And yes, I did fly all the way from Alabama to Indiana just to donate plasma! Since last summer I have been part of a red cell antibody study that helps pregnant women. They use my plasma to create test kits that help doctors identify antibodies in pregnant women. Every pregnant woman in America (who gets prenatal care) is tested for these antibodies at the beginning of her pregnancy. It’s part of the routine blood work. Every one of those tests was created by using plasma from people like me who already have the antibodies. 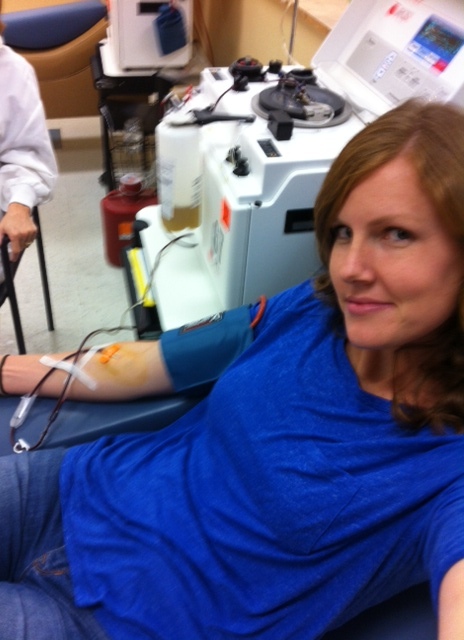 Somehow my plasma donation selfie came out looking weirdly sultry?! This opportunity to donate plasma has been such a blessing to me. It feels good to be able to use these horrible antibodies that killed my daughter to help other pregnant women and other babies. When I donate, the company flies me up to Indy, has a driver waiting for me when I step off the plane and provides a beautiful suite downtown for me to stay in. I get three days to myself to relax, regroup, spend time with God, SLEEP without interruptions, shop, and explore the city. I donated quite a lot last summer, then took about a year break and just went back this week. Not only was this trip refreshing and relaxing, but it has highlighted how far I have come in the past year. I am just now realizing how much healing has taken place since I was here last. Every one of my trips last year was accompanied by a heavy weight of depression, hopelessness and despair. Every baby that cried in the airport was an insult to my senses, searing straight into my heart. On one of my flights last year, there was a young couple with a baby right across the aisle from me. The flight felt like torture for all of us. I visibly cringed every time the baby made any type of sound (happy babble, irritable cry, cute laugh) and the parents probably thought I was just one of those people who get annoyed with babies on flights. I almost spoke up and told them that my dead baby’s due date was coming up in a few short weeks and that it was me, not them. But I knew I would start pouring tears before I could even get a word out, so I kept quiet. When I tried shopping downtown, all that caught my eye was the baby girl sections, every flash of pink a painful reminder. Once, when I was in H&M I almost felt like I was going to throw up when I saw their baby girl section, it made me so sad. I tried eating out at lots of great restaurants, and the food tasted like cardboard. I tried relaxing when I was alone in my hotel room, but it was worse to be alone with my thoughts. This year, I felt a healthy (albeit irrational) fear when my plane was taking off. I was so pleased to feel my sweating palms and my rapid pulse. I felt like jumping up and hugging the passengers around me because I WANTED TO STAY. I wanted to shout out so everyone could hear, “I want to stay! I’m not ready to die!” This is a new and exciting realization for me. Honestly, since Lucy’s heart stopped until just recently I have wanted to die and go to heaven. When you are in so much pain, your natural reaction is to try to escape the pain. I was going to stay here for my boys and for Josh and because I would never commit suicide, but I didn’t want to be here in this terrible world of pain and disappointment and heartache. But now, I WANT to be here. I am not ready to go. I want to finish my days on earth with Josh and I want to see my children grow up. I am so excited about our new daughter and there are things that make me want to stay. I see that healing is taking place. The first night I was in Indianapolis this week I slept 12 glorious hours and relished the dark, quiet solitude of my hotel room. I found an amazing Indian restaurant and (not lying) probably ate the best meal of my life. It was so amazing, I called Josh just to describe the deliciousness. When I went shopping I sought out the baby girl section and bought SO many cute pink things and checkered things and frilly things and my heart sang with joy as I spent all of my money. Josh’s heart did not sing when I told him about my extensive shopping adventures, ha ha! Another sharp contrast did not really have to do with me, but with my friend Sara who lost her baby Luke last year. The first time she emailed me was last year while I was on a donation trip in Indianapolis. 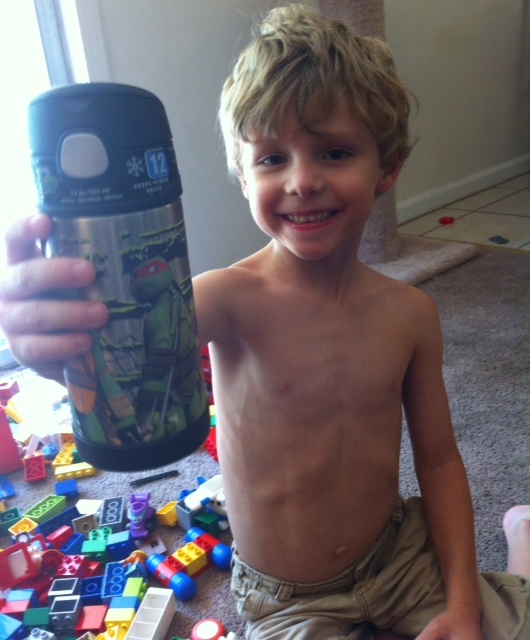 She had come across my blog and wanted to share Luke’s story with me. It wasn’t that long after her Luke had gone to heaven and the grief was still so fresh. I immediately felt a connection with her and with Luke and felt her loss so deeply. It was the start of a beautiful relationship that carried me through the rest of my dark grieving days. But during this trip to Indianapolis we weren’t texting about loss, we were texting about her rainbow baby, who she was preparing to meet. Samuel Hudson was born yesterday, actually, and he is perfect. I have been praying for God to give Sara this baby since she first emailed me when I was in Indianapolis last year. It is so wonderful to see God’s goodness in action, to see His promises come to fruition. I am still trusting that my turn is coming. I am so thankful for the healing that is slowly mending my wounds and the joy that is gradually creeping back in. I honestly NEVER thought it would happen. I thought the darkness was too black and the pain was too deep. When I first created this blog I almost laughed at my silly self for naming it “Losing Lucy and FINDING HOPE” because I truly doubted that I would ever find hope again. But God is more powerful than we give Him credit for. Are you in the darkness that seems too black to escape? Are you in so much pain that you think you will never be healed? Trust in God and ask Him to heal you (even if you think He can’t.) He will not fail you. Hebrews 10:23 Let us hold fast the confession of our hope, without wavering, for He who promised is faithful. …healthy, beautiful, chubby cheeked GIRL! Woohoo! Let the crazy baby girl shopping continue! 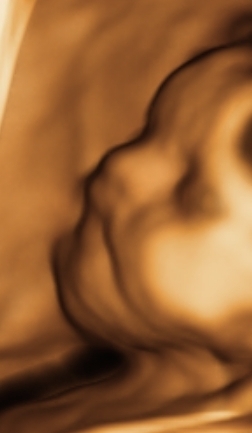 Yesterday K and I went together to get a 3D ultrasound of the baby. We got confirmation that it is indeed, for SURE, a baby girl and we are SO excited! It was really nice to be able to spend some alone time with K and it was fun to have this experience with her. I loved looking at our girl together and hearing her heartbeat (the most beautiful sound in the world.) It makes me happy to think of telling my daughter these sweet memories of her mommy and her first mom doing things together for her and doting on her before she was born. I truly am so thankful for K. Her willingness to include me in everything has been so gracious and generous, and I am forever grateful. Even thought K is barely into the third trimester, the baby already has some substantial chubby cheeks, which I CANNOT WAIT to kiss! She was absolutely perfect. We are overwhelmed with love for this baby. We are smitten already. 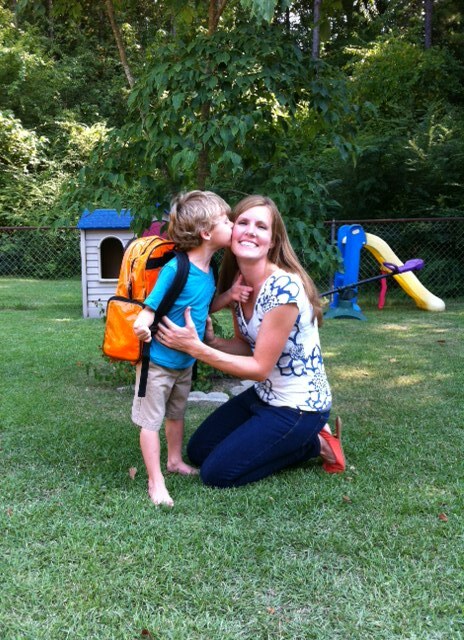 This week my baby boy will start kindergarten. How is that possible? I feel like I was just begging God for that positive pregnancy test in 2008, begging Him to give me a blonde baby boy named Liam. I feel like it was just yesterday that Liam was taking his first steps, that he was learning how to go potty and how to read all at the same time. It went too fast. 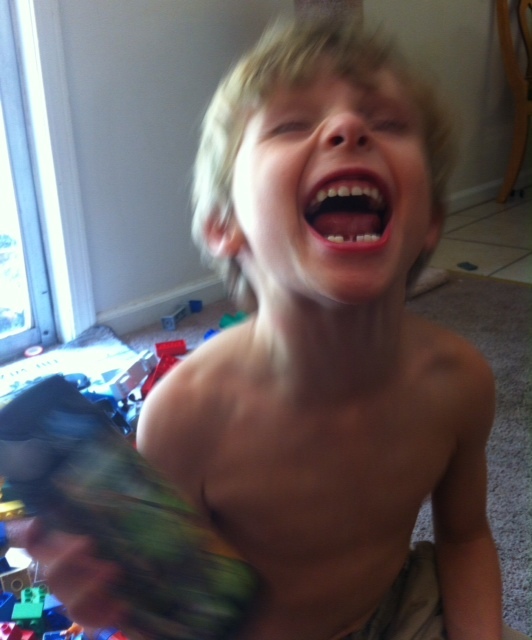 I am tempted to get weepy and to cling to his babyhood that is so quickly fleeting, that is gone already. I am tempted to feel sad that he is growing up so fast and that he will be away from me Monday through Friday from 7:30-3:00 in the care of a stranger. But my Lucy Dair has taught be otherwise. I will never be able to experience kindergarten with Lucy, to watch her outgrow her babyhood and blossom with self confidence and make new friends. I will never get to see her beautiful name on a pink backpack or buy a My Little Pony thermos for her lunchbox. I will never get to teach her how to read or introduce her to fun books like Anne of Green Gables or Harry Potter. What an incredible privilege that I get to do all of this with Liam. This week I will not reminisce in weepy sadness about his baby days gone by. 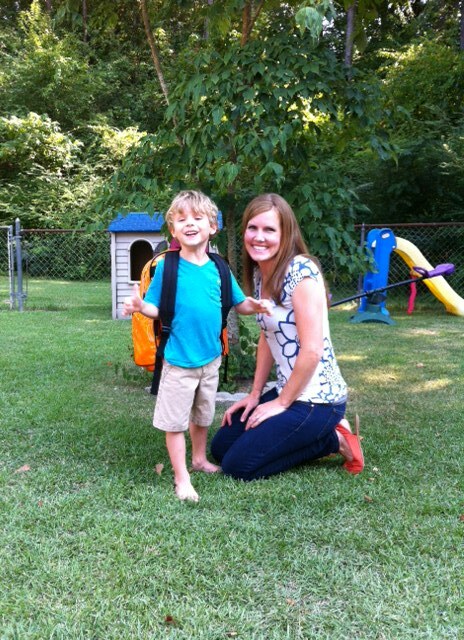 I will savor this amazing moment in time, right now, the week Liam starts kindergarten. I will recognize what a blessing it is that I get to experience all of this with Liam: the new friends and new teacher, the fun books I get to introduce him to, the field trips, the class parties and the holidays. Even buying all of his school supplies felt like an undeserved privilege. Once again, I am thankful for the things Lucy has taught me. I am able to appreciate these moments in life more deeply and to savor the sweetness of NOW. I am a better Mommy because of her. If you are sending your baby off to kindergarten this fall, you have been given an incredible privilege that many parents never get. Don’t let nostalgia get in the way of experiencing this fun milestone in your child’s life. Savor it, enjoy it, and thank God for it. You are so blessed.